Mineralogical investigations of clay and nonclay minerals were conducted on the Miocene sediments from three sections of the lower Chelif basin, northern Algeria. Bulk rock analyses of Miocene sediments show that these clastic sediments are dominated by variable mineralogical compositions and concentrations. Quartz is the dominant mineral through the three stratigraphic intervals and calcite (except in the upper layers) and dolomite are lacking in the Messinian deposits. The clay mineralogy is dominated by smectite (24%) and mixed-layer illite-smectite (I-S) (22%) during the Burdigalian-Langhian, illite (36%) and kaolinite (28%) in the Tortonian, and illite (49%) and I-S (20%) in the Messinian stratigraphic range. The smectite-(kaolinite+chlorite)-illite ternary diagram shows that, in general, Miocene sediments originated from a mixed mafic and felsic source and were influenced by physical erosion and chemical weathering processes. Ahlberg A, Olsson I, Šimkevičius P (2003). Triassic–Jurassic weathering and clay mineral dispersal in basement areas and sedimentary basins of southern Sweden. Sediment Geol 161: 15-29. Aïfa T, Feinberg H, Derder MM, Merabet N (1992). Rotations paléomagnétiques récentes dans le bassin du Chéliff (Algérie). CR Acad Sci II 314: 915-922 (in French). Aïfa T, Feinberg H, Derder MM, Merabet N (2003). Contraintes magnétostratigraphiques concernant la durée de l’interruption des communications marines en Méditerrannée occidentale pendant le Messinien supérieur. Geodiversitas 25: 617-631 (in French). Alizai A, Hillier S, Clift PD, Giosan L, Hurst A, Van Laningham S, Macklin M (2012). Clay mineral variations in Holocene terrestrial sediments from the Indus Basin. Quaternary Res 77: 368-381. Ameur-Chehbeur A (1988). Biochronologie des formations continentales du Néogène et du Quaternaire de l’Algérie. Contribution des micromammifères. PhD, Oran University, Oran, Algeria (in French). Arab MR, Roure F, Zazoun RS, Mahdjoub Y, Badji R (2015). Source rocks and related petroleum systems of Chelif Basin, (western Tellian domain, north Algeria). Mar Petrol Geol 64: 363-385. Atif KFT, Bessedik, M, Belkebir L, Mansour B, Saint Martin JP (2008). Le passage Mio-Pliocène dans le bassin du Bas Chélif (Algérie). Biostratigraphie et paléoenvironnements. Geodiversitas 30: 97- 116 (in French). Belhadji A, Belkebir L, Saint Martin JP, Mansour B, Bessedik M, Conesa G (2008). Apports des foraminifères planctoniques à la biostratigraphie du Miocène supérieur et du Pliocène de Djebel Diss (Bassin du Chélif, Algérie). Geodiversitas 30: 79-96 (in French). Belkebir L (1986). Le Néogène de la bordure nord - occidentale du massif de Dahra (Algérie). Biostratigraphie, Paléoécologie, Paléogéographie. PhD, Provence University, Aix-en-Provence, France (in French). Belkebir L, Bessedik M, Ameur-Chehbour A, Anglada R (1996). Le Miocène des bassins nord occidentaux d’Algérie : biostratigraphie et eustatisme, in Géologie de l’Afrique et de l’Atlantique Sud, actes Colloques Angers 1994. Elf Aquitaine Éditions, Pau 16: 553-561 (in French). Belkebir L, Bessedik M, Mansour B (2002). Le Miocène supérieur du Bassin du Bas Chélif : Attribution biostratigraphique à partir des foraminifères planctoniques. Mémoires du Service Géologique de l’Algérie 11: 187-194 (in French). Bessedik M, Belkebir L, Mansour B (2002). Révision du Miocène inférieur (au sens des anciens auteurs) des dépôts du bassin du bas Chelif (Oran, Algérie). Conséquences biostratigraphiques et géodynamiques. Mémoires du Service Géologique de l’Algérie 11: 167-186. Biscaye PE (1965). Mineralogy and sedimentation of recent deep-sea clays in the Atlantic Ocean and adjacent seas and oceans. Geol Soc Am Bull 76: 803-832 (in French). Bizon G, Bizon JJ (1976). Modalités du passage Miocène-Pliocène en Méditerranée: réflexions sur le Messinien. Palaeogeogr Palaeocl 20: 43-46 (in French). Bockheim JG (1982). Properties of a chronosequence of ultraxerous soils in the Trans-Antarctic Mountains. Geoderma 28: 239-255. Bolle MP, Adatte T (2001). Palaeocene-early Eocene climatic evolution in the Tethyan realm: clay mineral evidence. Clay Miner 36: 249-261. Chamley H (1989). Clay Sedimentology. Berlin, Germany: Springer Verlag. Chamley H (1998). Clay mineral sedimentation in the Ocean. In: Paquet H, Clauer N, editors. Soils and Sediments (Mineralogy and Geochemistry). Berlin, Germany: Springer, pp. 269-302. Deconinck JF, Chamley H (1995). Diversity of smectite origins in Late Cretaceous sediments; example of chalks from northern France. Clay Miner 30: 365-379. Delfaud J, Michaux J, Neurdin J, Revet J (1973). Un modèle paléogéographique de la bordure méditerranéenne. Evolution de la région oranaise (Algérie) au Miocène supérieur. Conséquences stratigraphiques. Bulletin de la société d’histoire naturelle d’Afrique du Nord 64: 219-241 (in French). Delteil J 1974. Tectonique de la chaîne alpine en Algérie d’après l’étude du Tell oriental (Mont de la Mina, Beni Chougrane, Dahra). PhD, Nice University, Nice, France (in French). Dera G, Pellenard P, Neige P, Deconinck JF, Pucéat E, Dommergues JL (2009). Distribution of clay minerals in Early Jurassic Peritethyan seas: palaeoclimatic significance inferred from multiproxy comparisons. Palaeogeogr Palaeocl 271: 39-51. Fenet B (1975). Recherche sur l’alpinisation de la bordure septentrionale du bouclier africain à partir de l’étude d’un élément de l’orogenèse nord-maghrébin, les monts du Djebel Tessala et les massifs du littoral oranais. PhD, Nice University, Nice, France (in French). Garzanti E, Vezzoli G, Lombardo B, Andò S, Mauri E, Monguzzi S, Russo M (2004). Collision-orogen provenance (Western and Central Alps): detrital signatures and unroofing trends. J Geol 112: 145-164. Grosjean M, van Leeuwen JFN, van der Knaap WO, Geyh MA, Ammann B, Tanner W, Messerli B, Nunez LA, Valero-Garces BL, Veit H (2001). A 22,000 14 C year BP sediment and pollen record of climate change from Laguna Miscanti 23°S, northern Chile. Global Planet Change 28: 35-51. Guardia P (1975). Géodynamique de la marge alpine du continent africain d’après l’étude de l’Oranie Nord – occidentale (Algérie), relation structurales et paléogéographiques entre Rif externe et le Tell de l’avant pays atlasique. PhD, Nice University, Nice, France. Hassan AM (2017). Mineral composition and geochemistry of the Upper Cretaceous siliciclastics (Nubia Group), Aswan District, south Egypt: implications for provenance and weathering. J Afr Earth Sci 135: 82-95. Hu B, Li J, Cui R, Wei H, Zhao J, Li G, Fang X, Ding X, Zou L, Bai F (2014). Clay mineralogy of the riverine sediments of Hainan Island, South China Sea: Implications for weathering and provenance. J Asian Earth Sci 96: 84-92. Khonde NN, Maurya DM, Chamyal LS (2017). Late Pleistocene- Holocene clay mineral record from the Great Rann of Kachchh Basin, Western India: Implications for palaeoenvironments and sediment sources. Quatern Int 443: 86-98. Li J, Hua B, Wei H, Zhao J, Zou L, Bai F, Dou Y, Wang L, Fang X (2014). Provenance variations in the Holocene deposits from the southern yellow sea: clay mineralogy evidence. Cont Shelf Res 90: 41-51. Li J, Liu S, Shi X, Feng X, Fang X, Cao P, Sun X, Wenxing Y, Khokiattiwong S, Kornkanitnan N (2017). Distributions of clay minerals in surface sediments of the middle Bay of Bengal: source and transport pattern. Cont Shelf Res 145: 59-67. Limmer DR, Köhler CM, Hillier S, Moreton SG, Tabrez AR, Clift PD (2012). Chemical weathering and provenance evolution of Holocene–Recent sediments from the Western Indus Shelf, Northern Arabian Sea inferred from physical and mineralogical properties. Mar Geol 326-328: 101-115. Liu Z, Wang H, Hantoro WS, Sathiamurthy E, Colin C, Zhao Y, Li J (2012). Climatic and tectonic controls on chemical weathering in tropical Southeast Asia (Malay Peninsula, Borneo, and Sumatra). Chem Geol 291: 1-12. Mansour B, Bessedik M, Saint Martin JP, Belkebir L (2008). Signification paléoécologie des assemblages de diatomées du Messinien du Dahra sud-occidental (bassin du Chelif, Algérie nord-occidental). Geodiversitas 30: 117-139 (in French). Mazzola G (1971). Les foraminifères planctoniques du Miocène- Pliocène de l’Algérie nord-occidentale. In: Proceedings of the 2nd Planktonic Conference, Rome, Italy, pp. 787-812 (in French). Meghraoui M (1982). Étude néotectonique de la région nord-ouest d’El-Asnam : relation avec le séisme du 10 octobre 1980. PhD, Paris VII University, Paris, France (in French). Meghraoui M (1986). Seismotectonics of the lower Cheleff Basin: Structural Background of the El Asnam (Algeria) earthquake. Tectonics 5: 809-836. Miao WL, Fan Q, Wei H, Zhang X, Ma H (2016). Clay mineralogical and constraints on late Pleistocene weathering processes of the Qaidam Basin, northern Tibetan Plateau. J Asian Earth Sci 127: 267-280. Millot G (1970). Geology of Clays. Berlin, Germany: Springer-Verlag. Mokhtar Samet A (2013). Marnes diatomitiques du Miocène supérieur de la carrière de Ouillis (Bassin du Bas Chelif ) : Biostratigraphie et analyse géochimique. MSc, Tlemcen University, Tlemcen, Algeria (in French). Neurdin-Trescartes J (1992). Le remplissage sédimentaire du bassin Néogène du Chelif, modèle de référence de bassins intramontagneux. PhD, Pau University, Pau, France (in French). Neurdin-Trescartes J (1995). Paléogéographie du bassin de Chélif (Algérie) au Miocène. Causes et Conséquences. Géologie Méditerranéenne 22: 61-71 (in French). Perrodon A (1957). Etude géologique des bassins néogènes sublittoraux de l’Algérie occidentale. Bulletin du Service de la Carte géologique d’Algérie 12 (in French). Rao VP, Rao BR (1995). Provenance and distribution of clay minerals in the sediments of the western continental shelf and slope of India. Cont Shelf Res 15: 1757-1771. Rateev MA, Gorbunova ZN, Lisitzyn AP, Nosov GL (1969). The distribution of clay minerals in the oceans. Sedimentology 13: 21-43. Robert C, Chamley H (1991). Development of early Eocene warm climates as inferred from clay mineral variations in oceanic sediments. Global Planet Change 89: 315-331. Robert C, Kennett JP (1994). Antarctic subtropical humid episode at the Paleocene-Eocene boundary: clay-mineral evidence. Geology 22: 211-214. Rostási Á, Raucsik B, Andrea Varga A (2011). Palaeoenvironmental controls on the clay mineralogy of Carnian sections from the Transdanubian Range (Hungary). Palaeogeogr Palaeocl 300: 101-112. Rouchy JM (1982). La genèse des évaporites messiniennes de Méditerranée. Paris, France: Muséum National d’Histoire Naturelle (in French). Rouchy JM, Caruso A, Pierre C, Blanc-Valleron MM, Bassetti MA (2007). The end of the Messinian salinity crisis: evidences from the Chelif Basin (Algeria). Palaeogeogr Palaeocl 254: 386-417. Saint-Martin JP (1987). Les formations récifale coralliennes du Miocène supérieur d’Algérie et du Maroc. Aspects paléoécologiques et paléogéographiques. PhD, Aix-Marseille 1 University, Aix-en-Provence, France (in French). Singer A (1988). Illite in aridic soils, desert dusts and desert loess. Sediment Geol 59: 251-259. Singh A, Paul D, Sinha R, Thomsen KJ, Gupta S (2016). Geochemistry of buried river sediments from Ghaggar Plains, NW India: multi-proxy records of variations in provenance, paleoclimate, and paleovegetation patterns in the Late Quaternary. Palaeogeogr Palaeocl 449: 85-100. Tauecchio P, Marks P (1973). The Messinian deposits of the Chelif Basin near El Asnam, Northern Algeria. In: Drooger CW, editor. Messinian Events in the Mediterranean. Amsterdam, the Netherlands: North-Holland, pp. 188-191. Thiry M (2000). Palaeoclimatic interpretation of clay minerals in marine deposits: an outlook from the continental origin. Earth- Sci Rev 49: 201-221. Thomas H (1985). Géodynamique d’un bassin intramontagneux. Le bassin du Bas Chelif occidental durant le Mio-Plio-Quaternaire. PhD, Pau et Pays de l’Adour University, Pau, France (in French). Velde B (1995). Origin and Mineralogy of Clays: Clays and the Environment. New York, NY, USA: Springer-Verlag. Wang H, Liu Z, Sathiamurthy E, Colin C, Li J, Zhao Y (2011). Clay mineralogy and elemental geochemistry of river surface sediments in Malay Peninsula and North Borneo. Sci China Earth Sci 54: 272-282. Weaver CE (1989). Clays, Muds and Shales. Developments in Sedimentology 44. Amsterdam, the Netherlands: Elsevier. ISNAD HADJI, Fatiha , MAROK, Abbas , MOKHTAR SAMET, Ali . "Miocene sediment mineralogy of the lower Chelif basin (NW Algeria): implications for weathering and provenance". 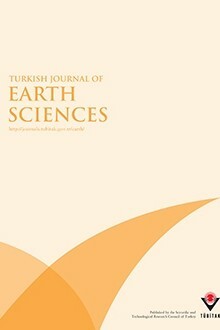 Turkish Journal of Earth Sciences 28 / 1 (January 2019): 85-102.